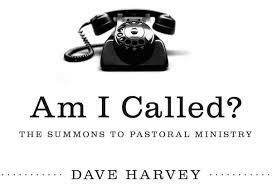 Dave Harvey makes some insightful comments about the difficulty of living out the Christian life in the home that I wanted to share. Just think about it. There’s no other place where high expectations (love your wife as Christ loved the church) meet a desire to be unplugged. There’s no other setting where a strategic role (father) meets distraction from that role (entertainment). There’s no other venue where the human heart is unscreened – people encounter the real you…But there’s something else. The home offers the largest window on whether you meet Scripture’s character qualifications for ministry. I think that’s because God knows something we often miss. You can pose at the office or play religious at church, but your family knows and reveals the true measure of a man. In other words, nobody’s impressed with accomplishments, rank, or income. If you want to know whether a man lives an exemplary life, whether he’s consistent, whether he can teach and model the truth, and whether he can lead people to salvation, to holiness, and to serve God, then look at the most intimate relationships in this life and see if can do it there. Look at his family and you’ll find the people who know him best, who scrutinize him most closely. Ask them about the kind of man he is. Biblical leadership starts in the home. What’s your home-life look like?